Location: Jefferson County, South Platte Ranger District, 5.16 miles SE of Pine, CO. Location: Teller County, South Park Ranger District, 8 miles N. of Florissant, CO.
One Type 1 and the Type 2 Helicopters resources have been cancelled. One Type 1 Helicopter remains working on the incident. 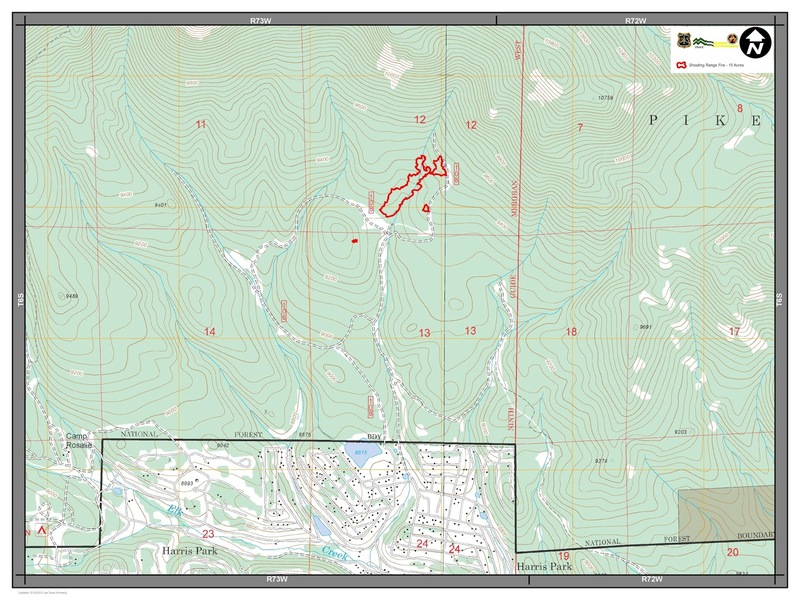 Location: Lake County, Leadville Ranger District, 3 miles SW of Leadville, 3 miles S. of Turquoise Lake CO.
Resources: Forest Service and multiple cooperative resources on site, Aviation resources ordered, One Type 1 Helicopter. · Fire investigators on site determined two fire starts. · Smoldering continues on the interior of the Shooting Range #2 Fire, mop up operation is in progress. Fire is now reported at 15 acres, Fire will be staffed over night due to proximity to homes. 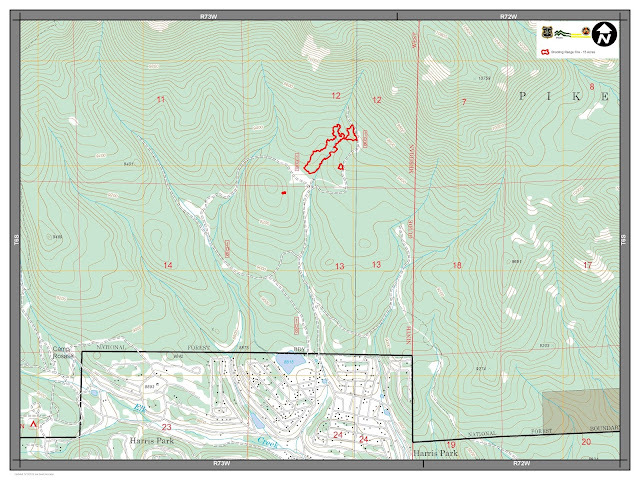 Resources: Forest Service and multiple cooperative resources on site, Aviation resources ordered, 2 SEATs, 1 Air Attack and 1 Air Tanker, USFS Monument Type 3 helicopter. 2 engines, and 20 person hand crew.